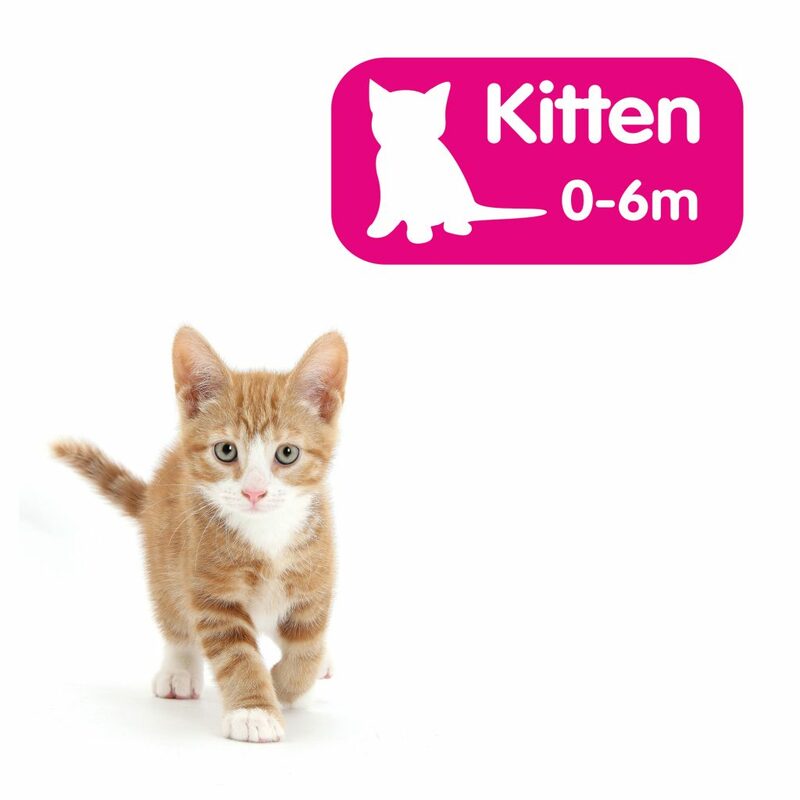 Cats can live for an amazingly long time considering their small size. In general, smaller mammals have shorter lifespans, but cats are a little different. For example, although cats are smaller than most dogs, they generally live longer. Also, they are only slightly larger than rabbits, yet again live a great deal longer. The average lifespan for a pet cat is probably around 13 to 14 years. However, although their lifespan varies, a well cared for cat may commonly live to 15 or beyond, some make it to 18 or 20 and a few extraordinary felines even pass 25 or 30 years of age. Cats obviously mature much more rapidly than people, but once they are fully developed physically and behaviourally – from about 3 years of age – for many years their outward appearance changes very little. They usually still appear very youthful, and it can actually be very difficult to tell the age of an adult cat. Despite the youthful outward appearance, inside the cat will be getting older. 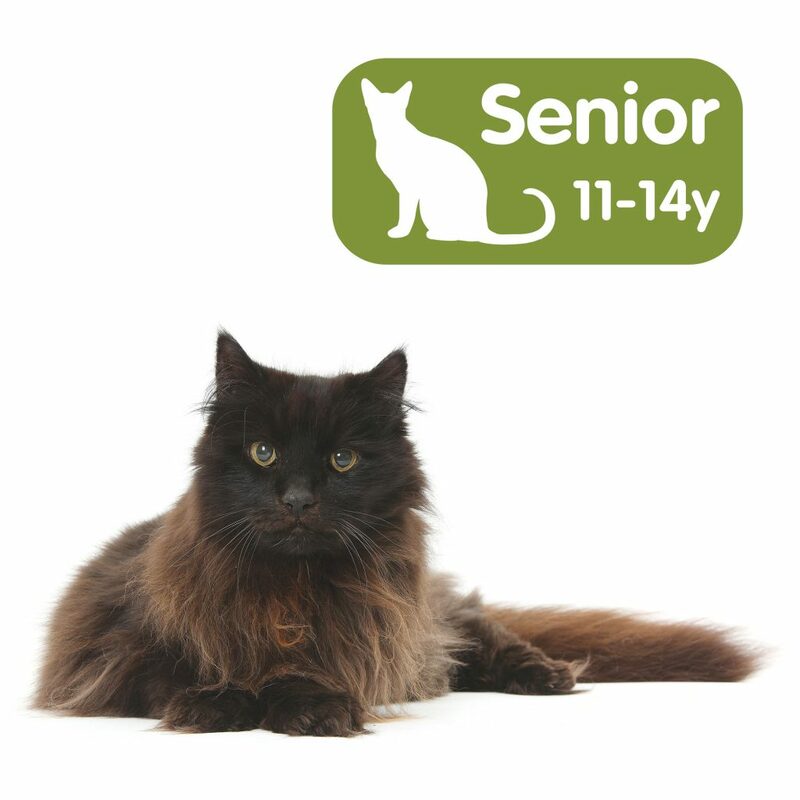 It is much easier to understand how to manage our cats’ lives, health and behaviour if we can associate their age with an equivalent of our own human years. 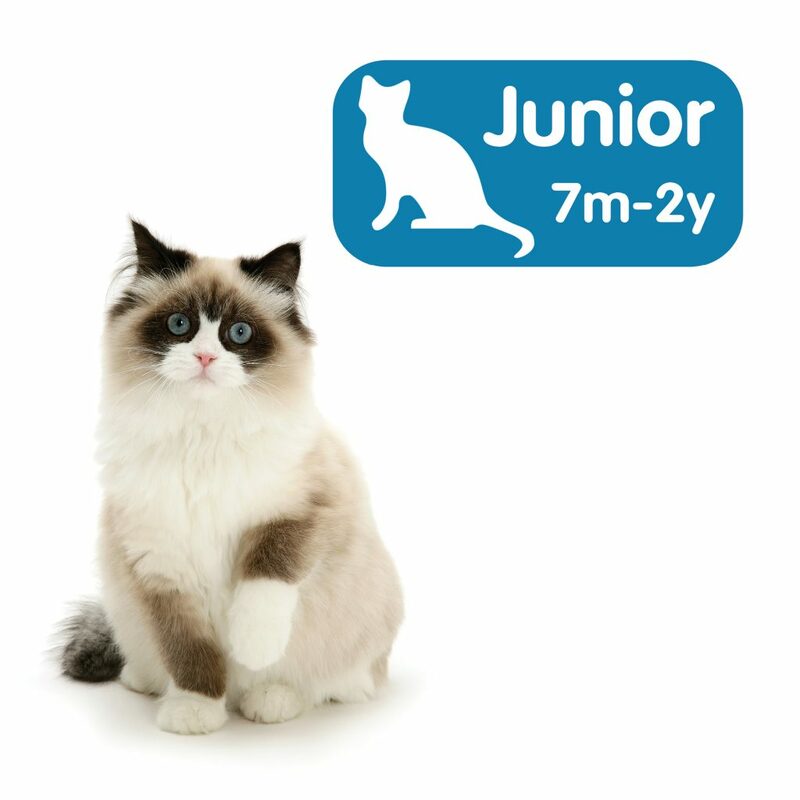 It has often been suggested that we simply need to multiply a cat’s age by 7 to get a comparative human age. 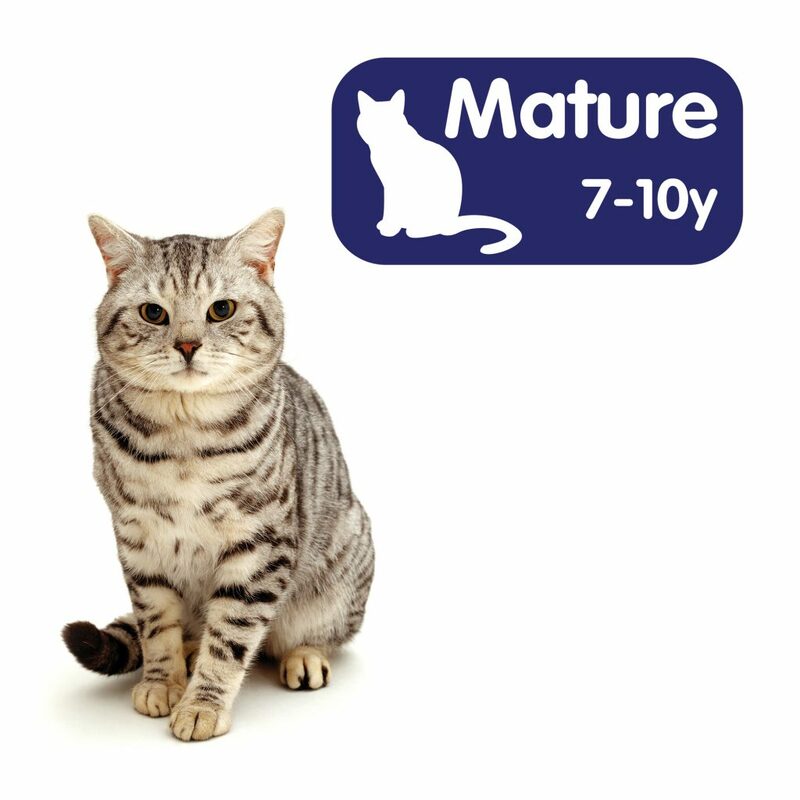 However, this is very crude and does not take into account a number of aspects of how cats mature and age. A much more appropriate method is to take the end of the first year of the cat’s life to be equivalent to 15 human years, the end of the second year to be approximately equivalent to a 24-year-old person, and thereafter to consider each year of a cat’s life to equate to approximately 4 human years. 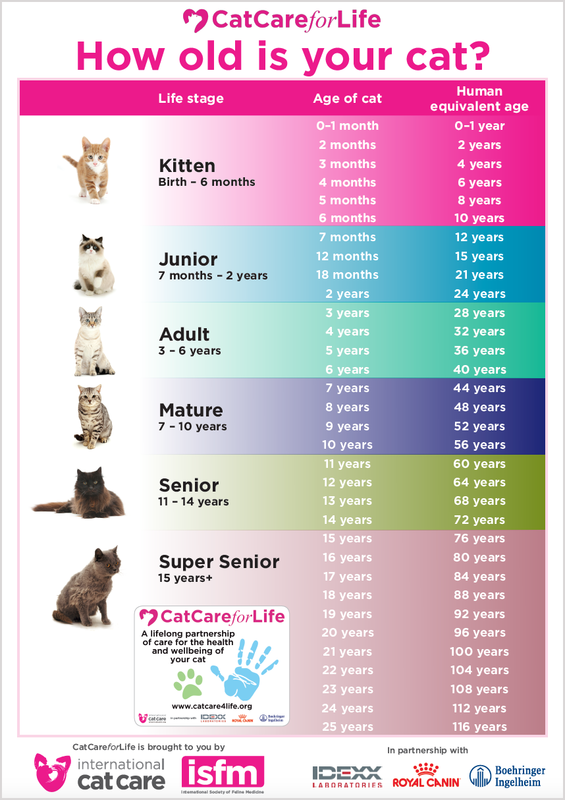 The chart we have provided (below) can be used to easily determine approximately how old your cat is in human terms. It should be remembered that this is just an estimate though as each cat, just like each human, is an individual and rates of maturation and ageing will vary. 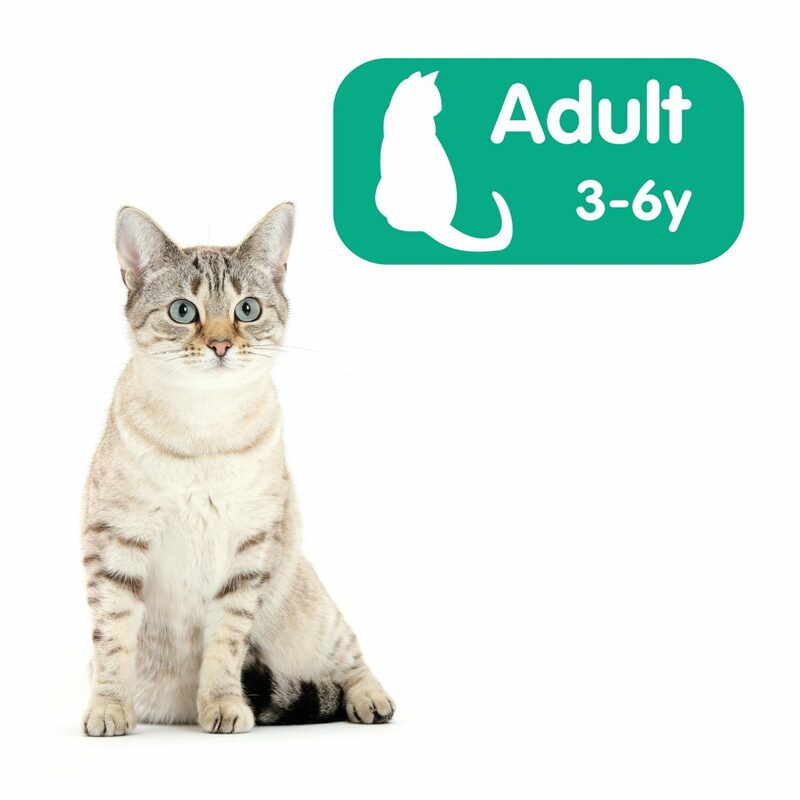 As you will see from the chart, we also recognise six different life stages for cats. 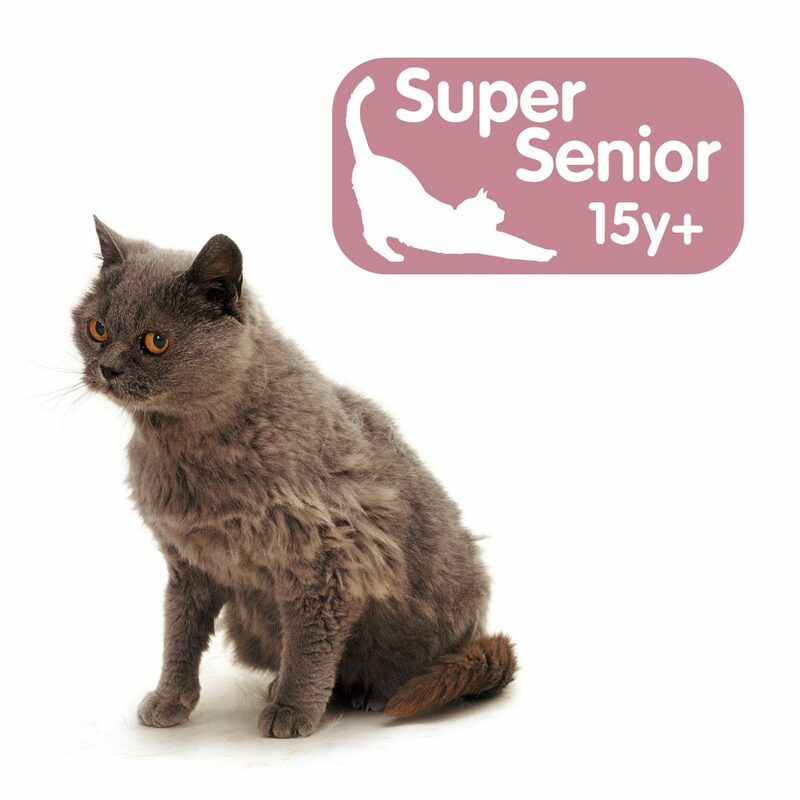 These are based on an understanding of how cats mature and age both physically and behaviourally, and allow us to predict when certain changes might be occurring both physically and mentally. Select your cat’s life stage below to find out more about your cat and the preventative healthcare it should be receiving.